If you’ve started applying for college or have already received acceptance letters back, chances are you’re well on your way to preparing for the next step in your life. While your mind might be on picking out decorations for your dorm room or choosing your courses, it’s important to also think about the cost of college, as it has escalated at a rapid pace. According to the College Board’s most recent report, the average cost of tuition and fees for the 2014–2015 school year for an in-state public college is $23,410. The average tuition at a private college averaged $46,272. While there are private and public loans available for students to use to pay for tuition and other college fees, it’s better to pursue options that don’t have to be paid back, such as scholarships and grants. Both scholarships and grants are a form of aid called “gift aid” because unlike loans, they don’t have to be paid back. Both grants and scholarships can come from a number of different sources, such as from the federal government, your state government, your college, or a private or nonprofit organization. However, that’s where the differences between grants and scholarships begin to appear. For instance, grants are typically need-based, whereas scholarships can be merit-based or need-based. If a grant is specifically for the entire duration of a program, it may have to be paid back if a student leaves a program mid-way through. For federal grants, your eligibility is typically determined by filling out the Free Application for Federal Student Aid (FAFSA). Scholarships, on the other hand, may have a number of different eligibility requirements and an application that could include an essay, recommendation letters, and other materials. Federal Pell Grants – Pell grants are only awarded to undergraduate students who haven’t earned a bachelor’s or a professional degree. The amount you receive from a Pell grant can change over time, so it’s important to check the latest guidelines and contact the Department of Education if you have any questions. Federal Supplemental Educational Opportunity Grants (FSEOG) – Considered “campus-based aid,” the FSEOG grant amount may be anywhere from $100 to $4,000 a year, and is administered directly from your school’s financial aid office. If you qualify, it’s important to consider whether your school participates in FSEOG grants before you accept admission. Teacher Education Assistance for College and Higher Education (TEACH) Grants – Most grants don’t come with stipulations, but TEACH grants require recipients to attend certain classes in a “high-need field” and work in certain jobs, such as in education in low-income areas, in order to remain eligible. The amount received can be up to $4,000 per year. Iraq and Afghanistan Service Grants – Financial aid from an Iraq and Afghanistan Service grant is specific to students who have had a parent die in military service. The amounts may vary, but the award is similar to the amount of the Pell grant. If you want to pursue grants outside of what the federal government offers, College Board makes it easy with their CSS/Financial Aid PROFILE®. Submit the form and the $25 fee for your first college choice ($16 each after that for additional reports), and College Board will send your information to the schools to see if you qualify for financial or merit-based aid. It might seem odd to pay for this sort of service, but think about the aid you’ll receive in return. By now, you might have some questions about what “need-based” aid is versus “merit-based” aid. Some scholarships and grants are based on your financial need, or are used to recognize students whose financial backgrounds may make it burdensome for them to attend college. This aid is “need-based” because you have a financial need for the funds. “Merit-based” aid, on the other hand, is aid which you earn through your application, your high school grades, community service, and other factors which are determined through your submitted materials. Some types of merit-based aid may require an interview process, making them more competitive. 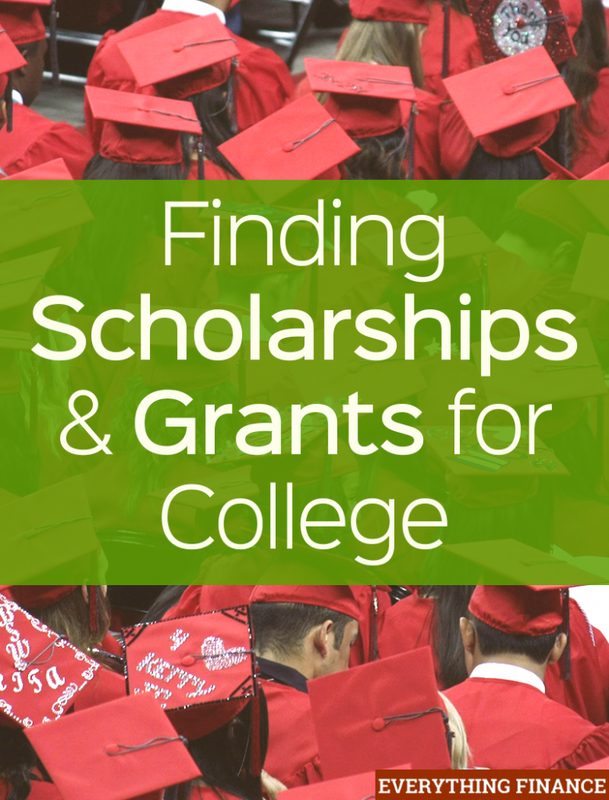 Finding grants is a pretty straightforward process, but finding scholarships can be tricky. One of the best ways to do this is to start local and branch out from there. Begin your search in your own community to have the best chance of receiving a scholarship. Why start local? There’s less competition. When applying for a national scholarship, for example, you’ll be up against more applicants that have similar qualifications as you. However, local scholarships have a smaller pool of candidates, giving you a good shot at receiving the gift aid. PTO or schools – Depending on your school’s budget, it’s possible to inquire about financial aid they offer. Your only competition is likely to be your fellow students, so be sure to ask a teacher or administrator if there are aid options for the soon-to-be-alumni students applying for college. Volunteer organizations – Are you passionate about a particular organization? Find out if their regional or local branches offer scholarships, and then apply! Local government – Even if you aren’t involved in local government issues or volunteer groups, it may be possible to apply for scholarships they offer. Find your local government’s website, and contact them to see if they offer gift aid and what the application process is like. Banks and credit unions – Every year, local banks and credit unions offer small scholarships to its members and members’ children. Keep an eye out for any scholarships, and ask for information the next time you have to make a deposit or withdrawal. Still Struggling to Find Gift Aid? Hopefully these resources will help you lessen the cost of higher education, and good luck with the application process! Do you have any experience applying for grants or scholarships? What advice would you give to others? Are Daycare Costs Breaking the Family Budget?